M-Phazes is the perfect example of a diamond in the rough. Born and raised in the Gold Coast of Australia and relatively isolated from Hip-Hop culture, M-Phazes has carved a strong niche for himself that has allowed his production to be heard on a global scale. 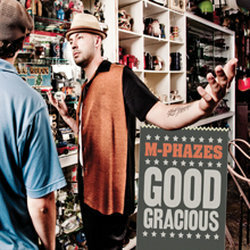 M-Phazes has built a very strong discography that includes placements with several key players in today's hip-hop marketplace that include Pharoahe Monch, CL Smooth, M.O.P., Mela Machinko, Royce Da 5'9", Emilio Rojas, Heltah Skeltah, Elzhi (Slum Village), Marvin Priest (son of Maxi Priest), Termanology, Sean Price, Sadat X and more.